Hello everyone, we have another dog show coming up at Conisbrough Gala on Saturday 18th July. We had a lovely time at the last show not many BARC entrants, Sarah the rehomer won !st prize in the happiest dog section and I have never seen a happier owner. Im not going to go on about the show I cant force anyone to come but we will give you a very warm welcome and this may be my last show,I have decided to throw my hat in I have enjoyed every minute of fundraising but its very hard work and was left to Glenda Ann & myself and I think we all tried to do too much. Glenda didnt come to the Barnburgh show because of the weather but Ann & myself did it together and we had a ball Glenda cant come to Conisbrough but has left us with two great Tombolas one for the kids and an adult one we are gonna miss you Glenda and as we are all leaving fundraising we are aiming high and hoping to raise a good ammount for BARC. 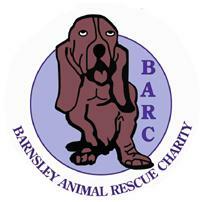 The Conisborough dog show starts at 0900 on Saturday July 18th at the playing fields, Old Road, Conisborough. It is scheduled to finish around 3pm and will have all the usual attraction of the fair.